Is Bryant Jennings the Future of American Heavyweight Boxing? Don’t look now, but there just might be an American heavyweight out there worth getting excited about. Bryant “By-By” Jennings (18-0, 10 KOs), an undefeated 29-year-old prospect from Philadelphia will make his second appearance on HBO airwaves this month when he takes on Mike Perez (20-0-1, 12 KOs) at the American Bank Center in Corpus Christi, Texas. 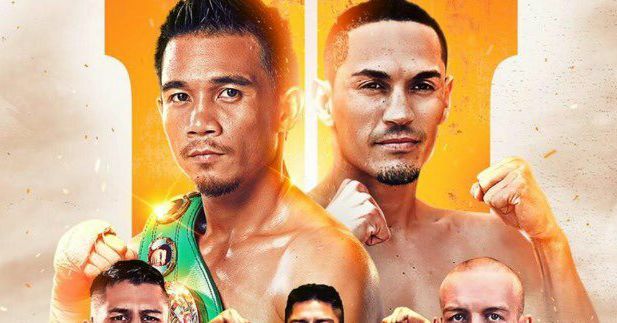 Jennings-Perez is the main event of HBO’s Boxing After Dark doubleheader. The co-feature is a middleweight bout between Daniel Geale and Matthew Macklin. This one is no gimme. Both heavyweights are highly skilled and solid-looking contenders. The winner of the fight will go a long way in making his case for a shot against world heavyweight champion Wladimir Klitschko. Jennings, who started boxing in his early 20s, said he never really envisioned getting this far in his professional prizefighting career when he first stepped into a boxing gym. It’s paid off. Jennings is now in the enviable position of being an American heavyweight with real promise, something fight fans have been longing for since Evander Holyfield aged out as a championship-level fighter over a decade ago. HBO Sports’ director of programming, Peter Nelson, said Jennings fits into the 2014 heavyweight picture nicely. “The old adage that as the heavyweight division goes, so goes boxing, is one that has increasingly diminished in value, as the lighter weights have taken more and more of the spotlight off the heavyweight division in America,” said Nelson. Don’t tell Jennings that. While he agrees Perez has more experience as an amateur, Jennings said he feels he has more life experience than Perez, something he expects to pay dividends come fight night. Perez is 28, one year younger than Jennings. But Jennings wouldn’t offer up any predictions about the fight, other than to say he’d win. He said he doesn’t focus on any one thing when it comes to his fights, whether it be knocking his opponents out or picking up rounds. Jennings just wants to win. “You’re gonna get 100 percent from me regardless,” said Jennings. Still, Jennings’ ascent to the top of the heavyweight mountain wouldn’t end with a win over Perez. In order to become the heavyweight American fight fans have been hoping for, he’d need to face and defeat world heavyweight champion Wladimir Klitschko. Klitschko has not lost a fight since 2004. Since then, the gigantic heavyweight with fast hands and nimble feet has put together one of the more remarkable championship runs in heavyweight history. So is Jennings the guy to dethrone him? Is he the guy to bring the title back to the United States? Will he be the guy to bring American heavyweight boxing back from the doldrums? Jennings said he and fellow undefeated prospect Deontay Wilder were probably the two most exciting heavyweights in America right now, to go along with the United Kingdom’s Tyson Fury. He said a group of guys like that, which might include other fighters who have yet to emerge, could make the heavyweight division real exciting. Nelson gave high praise to Klitschko, a fighter whose excellence has not equated to many fans on this side of the ocean. But is that Jennings’ game? While he’s been impressive in his own right, he’s doesn’t seem the erratic and murderous puncher Lampley describes. Where some guys butcher with a cleaver, Jennings seems to take his time with a knife. He wins fights with activity and gets most of his knockouts by putting his punches together over time. That kind of approach could work against Perez. Lampley said Jennings would be the bigger and stronger man in that fight, but would something like that work against Klitschko? Regardless, Jennings’ development could conceivably get him to a point where he could challenge Klitschko someday, who at age 38 is closer to the end of the road now than the beginning. Before all that, of course, Jennings will need to defeat Perez. 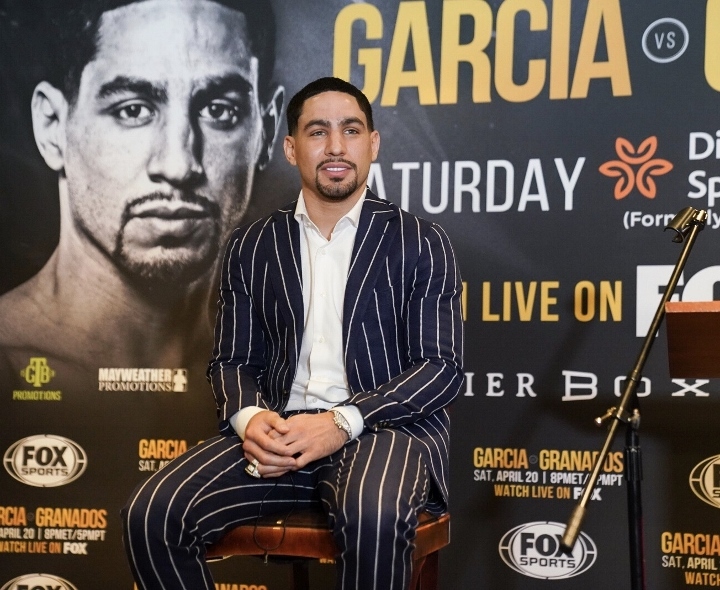 “It’s a very interesting matchup, because Perez has a...deeper amateur background and more technical training at an earlier age than Jennings had,” said Lampley. Nelson said the fight with Perez is coming at exactly the right time for everyone: Jennings, Perez and fight fans who are ready for some meaningful heavyweight action. And when Jennings’ chance does finally come against the best? What happens then? Nelson couldn’t say for sure how he thought a Jennings-Klitschko bout might go. Jennings was far more confident in his analysis. After Perez, he wants Klitschko. In fact, apparently he’s been saying he wants Klitschko for a while now. And what’s it like being in the position as maybe the next great American heavyweight? Is he the man to bring glory back to boxing’s more prestigious and glamorous division? Is he feeling any pressure? Kelsey McCarson regularly contributes to Bleacher Report, The Sweet Science and Boxing Channel. Unless otherwise noted, all quotes were obtained firsthand.